75 x 75mm Electronically Welded 3mm or 4.5mm square grid mesh. 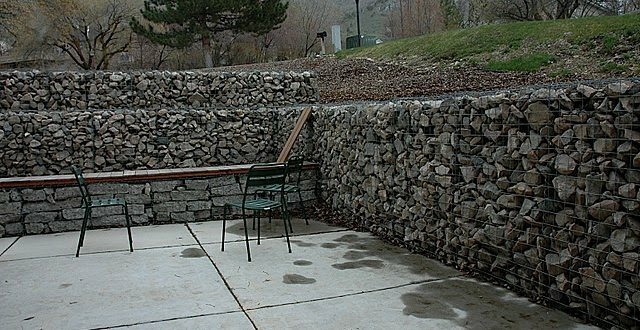 When building gabion walls the first gabion basket is a complete 6 sided gabion, however subsequent gabions are often able to share gabion panels with the previous gabion basket. So depending on design subsequent gabion baskets may only be 5 sided gabions. The prices above are for complete 6 sided gabion baskets, your wall will most likely be a combination of gabion baskets. Cost savings of over 20% can be achieved by deducting the redundant panels from your wall and using a mixture of 3mm and 4.5mm gabion mesh panels. How gabion panels fit together. Did you find the gabion basket size you wanted? Need help costing your wall? 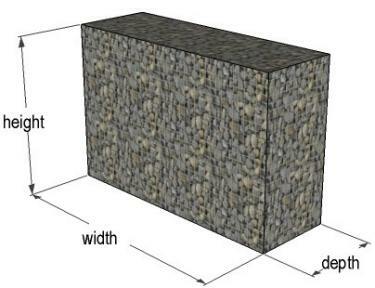 Tell us the walls length, height, width, your address and use eg retaining wall, free standing garden wall, erosion control. If not, please let us know and we will get right back to you.